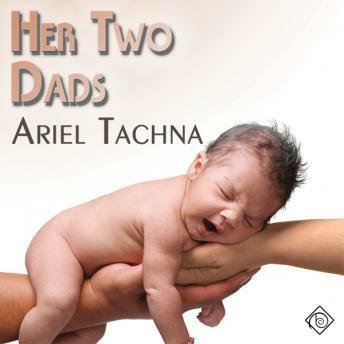 Listen to "Her Two Dads" on your iOS and Android device. Srikkanth Bhattacharya is a quintessential gay bachelor and perfectly happy about it-until he gets a call from the local hospital telling him his best friend died in childbirth. Sri had agreed to provide the sperm to make Jill's dream of motherhood come true, but he'd never expected to have to make decisions for a baby girl. He intends to place her with an adoptive family, but once he sees her, Sri can't bring himself to do it, so now he's struggling to learn how to deal with a newborn. His housemate and friend, Jaime Frias, volunteers to help, never guessing he'll fall in love with both the baby and Sri. Everything seems perfect until a visit from Social Services sends Sri into a tailspin, feeling like he has to choose between his daughter and a relationship with the man he's coming to love. So romantic and funny at the same time...5 stars! Not too crazy about the narrator.